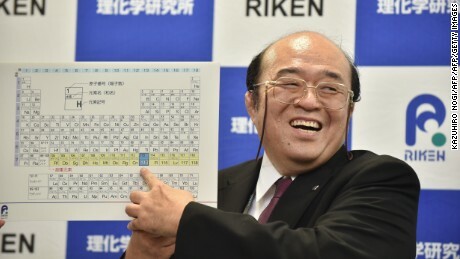 Periodic table to gain four new elements – CNN.comElements 113, 115, 117 and 118 have formally been recognized by the International Union of Pure and Applied Chemistry (IUPAC), the U.S.-based world authority on chemistry. The organization’s announcement on December 30 means the seventh row of the periodic table is finally complete. This entry was posted on Wednesday, January 6th, 2016 at 5:18 pm	and is filed under Physics. You can follow any responses to this entry through the RSS 2.0 feed. You can skip to the end and leave a response. Pinging is currently not allowed.